This week Tryptic Press announced a new book I am very much a part of. 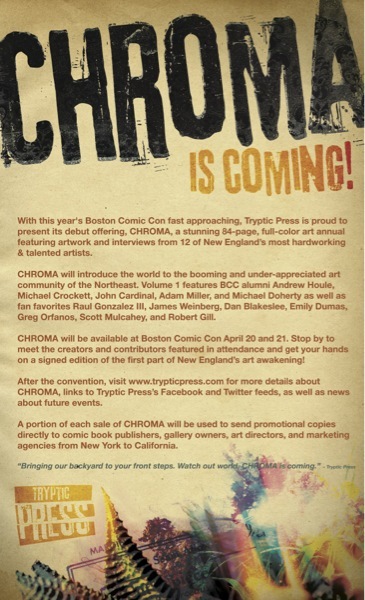 It is a full color art annual that contains work from 11 of New England's most talented artist and me. It will be available for the 1st time April 20th at the Boston Comic Con. Here is the official press release.